I love pie, especially fruit pies! Today I am sharing my MOST favorite pie of all pies. 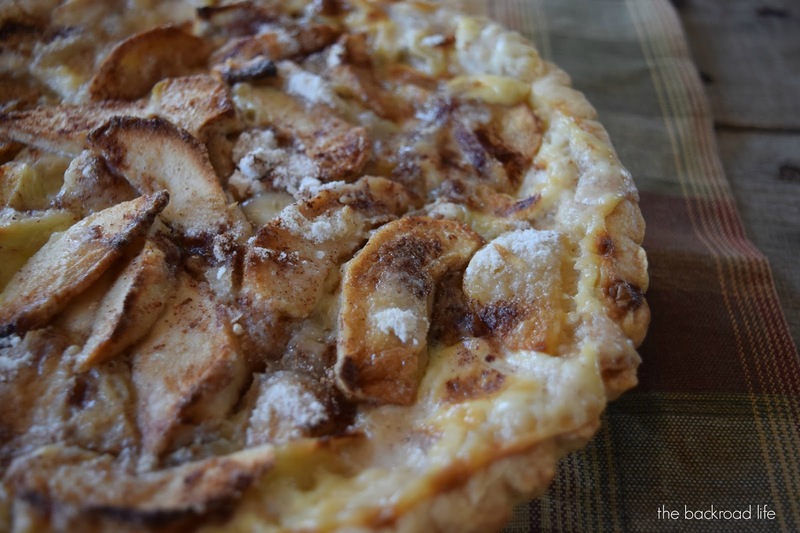 Flavors of apple and cinnamon with a creamy texture all in one with this Apple Cream Pie. Definitely one of my favorite flavors of Fall. 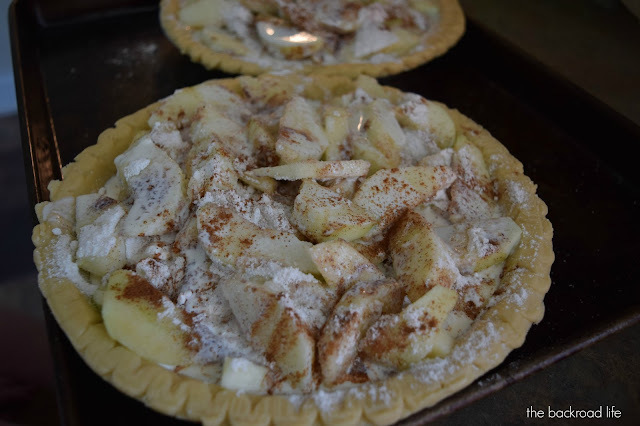 When I tell people I'm making an apple cream pie, most say they have never heard of it. This is my Grandma's recipe. It is a recipe that has been passed down and made for several generations and I have always enjoyed it. I remember the day I asked her to teach me the recipe and she was so happy to show me. We got the ingredients and I learned how to make my most favorite pie of all! I even asked her for permission to share the recipe on my blog. It is super easy and DELICIOUS!! Plus I am so happy that I have learned one of my Grandma's recipes (along with a few others). 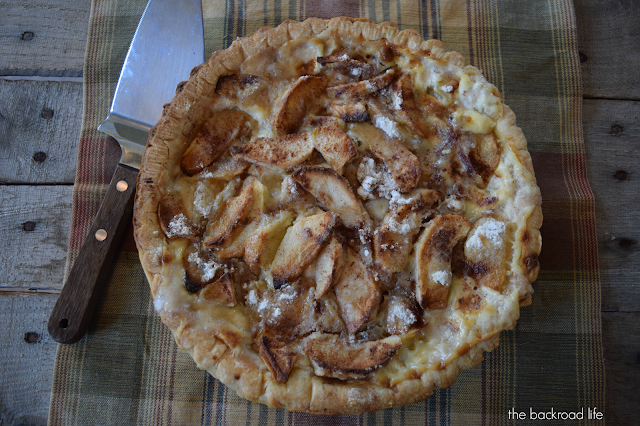 I especially like this pie during the holidays and in the fall when apples are in season. You can use any variety of apple, although there are specific apples that are better for baking. My favorite apple to use is Cortland or Gala. I prefer more of a tart apple. In a large mixing bowl, combine the flour, baking powder, and salt. Add the chunks of cold butter and mix the butter into the flour using a pastry blender. Continue to do this until the mixture looks like bread crumbs or small pieces of butter. Add the cold water and stir into the mixture so that it all sticks together. Clump the dough all together to form a ball. Wrap in plastic wrap and refrigerate for 1-2 hours. You want the dough chilled and cool, but not hard. This will make it easier to work. Roll out the dough to a circle on a lightly floured surface. Lay the circle of crust dough in your greased pie pan. Then do the directions below to fill your pie crust. Filling the pie crusts is simply an alternating and layering process. This is how I do mine. Once your pie crusts are filled, divide the 1 pint of whipping cream between the two pies, half pint on each. Pour it all around the top of each pie. Be sure to not get too close to the brim of the pie crust. When baking, the cream will rise up and may spill over (hence the cookie sheet underneath for baking). Place in the oven at 425 degrees for 15 minutes. Then bake at 400 degrees for 45 minutes. Let cool until pie is slightly warm before serving. done and done :) It is so good!! Love it! Thank you!! Be sure to look out on Friday for the feature! Sounds amazing! 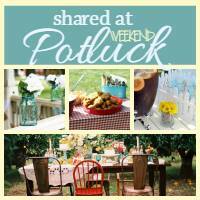 So happy you shared with us at Weekend Potluck. Please come back again soon. This sounds absolutely delicious! So glad you shared over at Weekend Potluck. When my grandmothers passed, all of their wonderful recipes went with them. Take those recipes and treasure them. Can't wait to make this! Thanks, sounds delicious! Some of the best recipes are those handed down. I see that it has been awhile since you posted this so I don't know if comments are being read. That being said, this pie is impossibly easy to make which makes it dangerous! 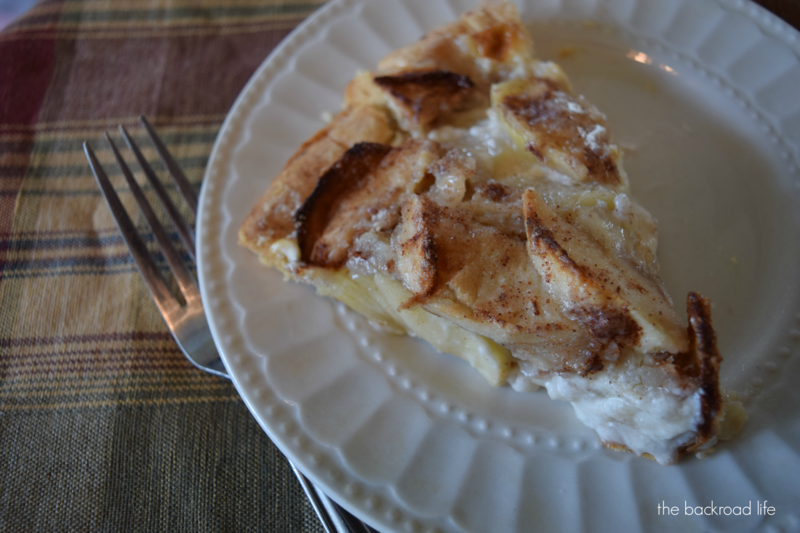 Apple pie has always been my family's favorite and I bake one frequently. 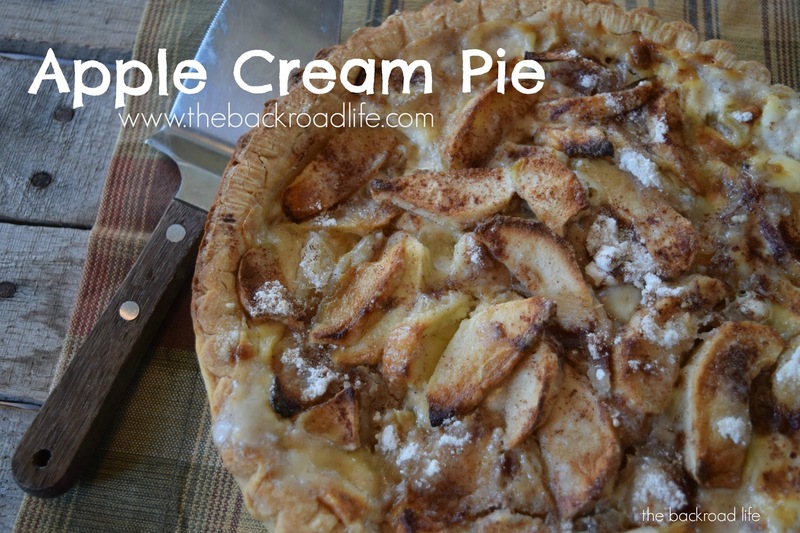 I have never even heard of apple cream pie but we are loving it now. I make supper for my adult children several times a week. They come by after work for their "take-out" then go on home to their own families. 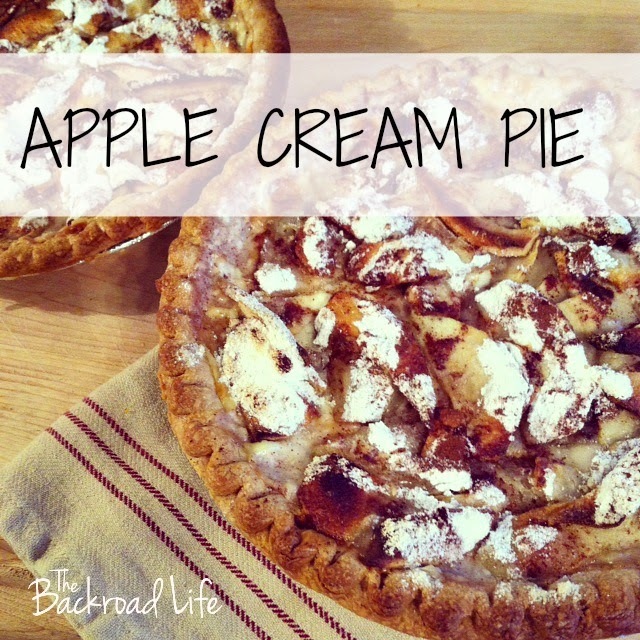 This recipe is perfect since it makes TWO pies! Many thanks for this delicious recipe.